Last year the shop launched 'Tiger Uncage' for the Singaporean beer brand. The agency will launch in January and Nobay will join the global Publicis creative board. He will also take the role of Creative Chairman of Publicis Worldwide Australia, and work closely with Publicis CEO Andrew Baxter. 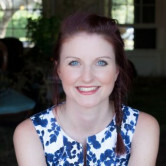 Earlier this year, former Marcel Paris head of strategy Iona Macgregor, joined Publicis in Australia as chief strategy officer. Marcel has its roots in digital creative, and takes its name from Marcel Bleustein-Blanchet, the original founder of Publicis. It has offices in Paris, new York, Sau Paulo and Shanghai. The shop will be based in Publicis' existing Sydney offices. Andrew Baxter, Publicis Worldwide Australia’s Chief Executive Officer said: “We’ve been considering the idea of launching Marcel in this market for some time, but had been waiting to find the right leader. When Nobby became available, it was a no-brainer”. Further creative hires will be announced shortly. 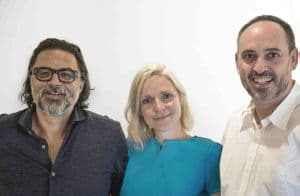 Publicis is launching its advertising hot shop Marcel in Australia with David Nobay, formerly of Droga5 as the founder and creative chairman. Following the closure of Droga5 earlier this year after ever years hard slog, Nobay has resurfaced as the founder and creative chairman of the soon to launch agency. Heineken-owned Tiger Beer, a former Droga5 Sydney client, is the founding client. Last year the shop launched 'Tiger Uncage' for the Singaporean beer brand.